Indianapolis hip-hop prodigy Kid Algebra jumps on the instrumental of “Infinity Guitars” by Sleigh Bells for his latest banger: I Like Ice Cream. Kid Algebra aka Steeze Urkel aka KJ Jones took the Indianapolis new school hip-hop scene in a thunderous fashion in 2010 without ever releasing a single track. By early fall, purely off of his internet presence, everybody wanted to know “Who is Kid Algebra?” Turns out, KJ Jones is just as adept with the microphone as he is with social media. To much anticipation, Kid Algebra released his debut single “My Perfect Little…” in January. 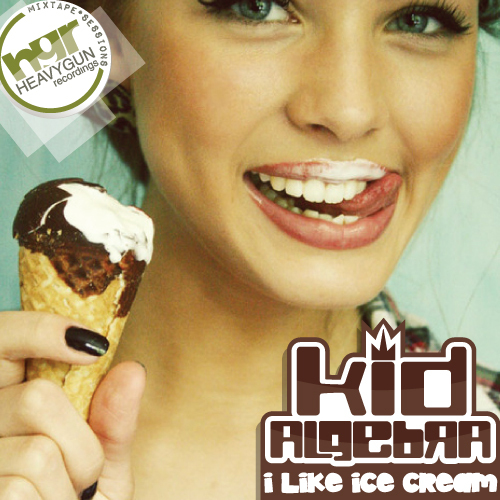 Now for his second single “I Like Ice Cream”, Kid Alebra mixes his love of dance music with hip-hop and has decided to ham on the instrumental from Sleigh Bells’ tune “Infinity Guitars”. Keep your eyes peeled, there’s much more to come from Kid A.